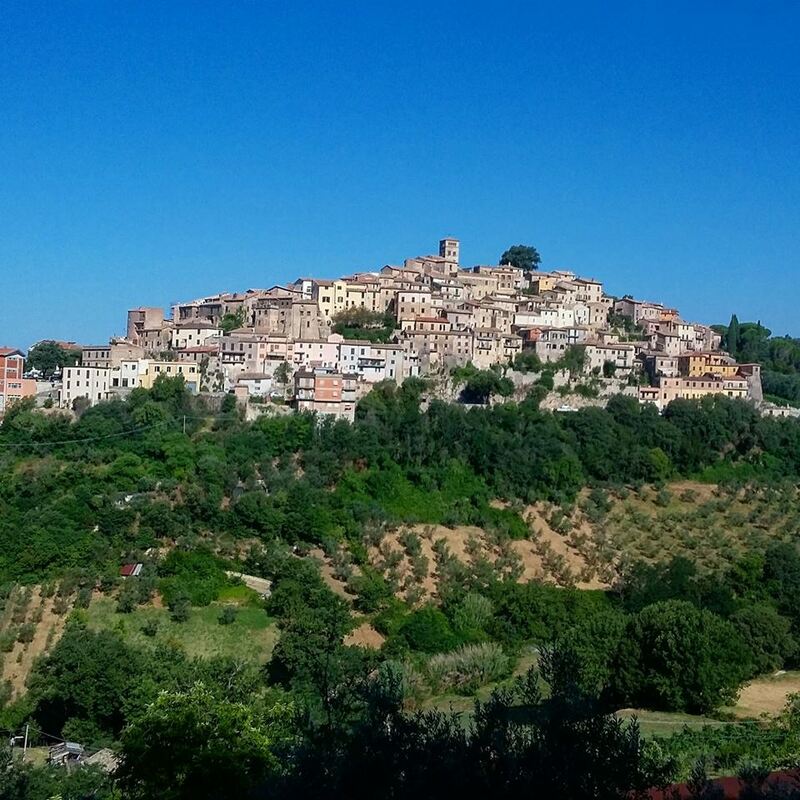 If you happen to be visiting Italy and want to tour a hill town, Casperia is an hour's drive NNE of Rome. This private tour is available upon request April to mid-August and October to early February. Casperia is perhaps Sabina Tiberina’s most iconic hill town. 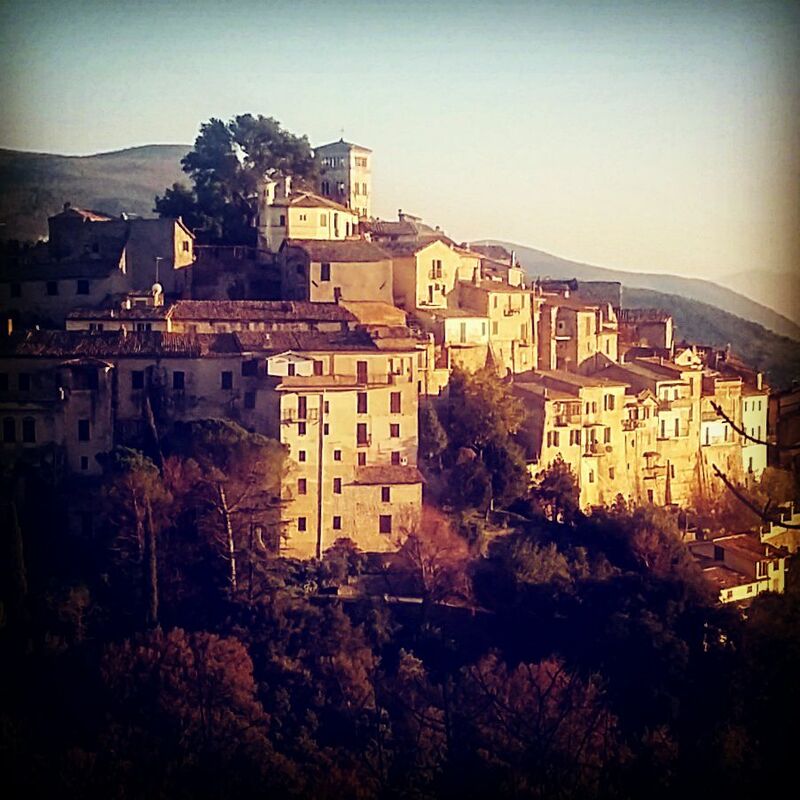 Its historic name Aspra—which translates as rugged, harsh, or severe—was changed in 1947 to the more poetic Casperia. Harsh, rugged and severe Aspra indeed was. During its turbulent 1000 year history bellicose Aspra warred with, conquered, and sometimes even obliterated neighbouring villages. 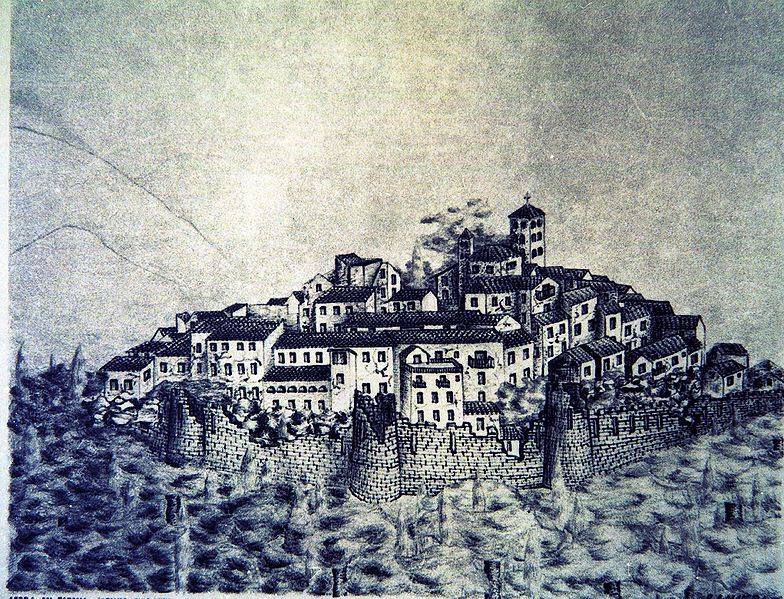 To this day, Caprignano, the forested hill to the north of Casperia, is reputed to be haunted by the ghosts of the slaughtered inhabitants of the town that once stood there. Casperia is a text book example of medieval hill town fortification. During this tour you will explore its fascinating maze of concentric streets and picturesque interconnecting alleys, which were laid out to confuse and impede an invading enemy. You will be shown the ingenious design of Casperia’s main gate, with its lancet windows, arquebus slot and trace of its “murder hole” from which jagged stones, boiling water and sometimes molten lead were dropped on attackers. You will see the once haunted tower where the town executioner lived and where he kept his tools of torture. You will be shown where the town’s cistern is located which kept Casperia in drinking water during times of siege. You will also learn about the curious swallow and pigeon holes built into the walls of houses which were used by the inhabitants to collect eggs and unsuspecting nesting birds as a supplemental source of food. Everywhere you look in Casperia’s centro storico there are layers upon layers of history waiting to be discovered: from the iron rings used to tie up mules which were used to transport heavy goods, including propane tanks into the town, right up until the 1990s when gas service reached Casperia, to the myriad of terracotta bricks inscribed with the year in which a certain building or section of wall was restored. Casperia is also home to one of Italy’s most important medieval archives as well as curiosities such a Italy’s last surviving Vespasiano public urinal. All these are in plain sight but often go unnoticed and unappreciated by the hurried visitor touring without a guide. Cost: €15 per person with a minimum of 5 people per group. €75 minimum cost for groups smaller that 5 people. Note: There are no flat streets in Casperia. The town is all stairs basically. Therefore this History Walk is recommended for those who are physically fit with proper walking shoes.